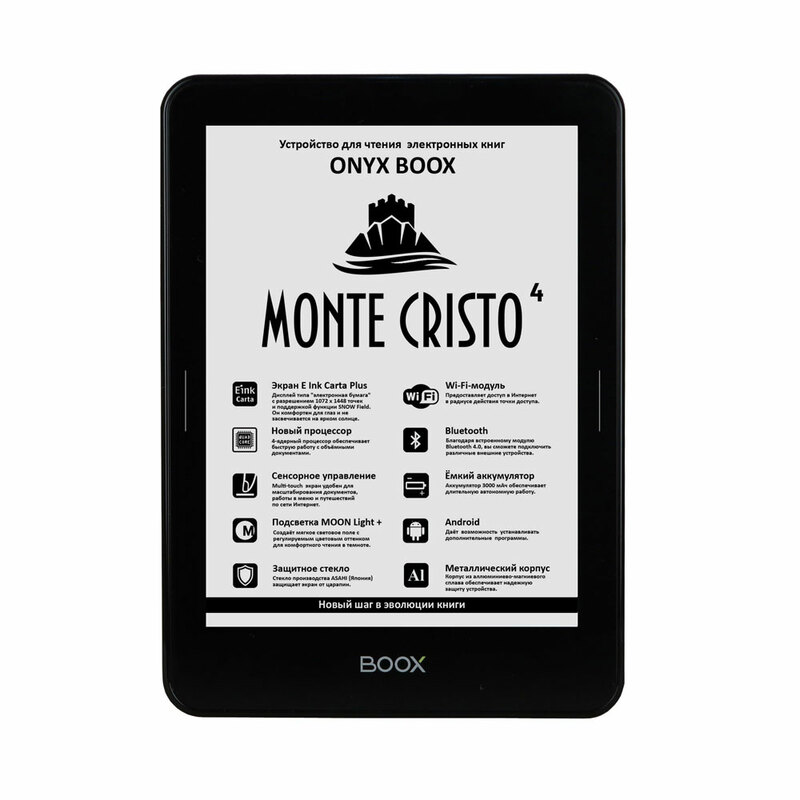 ONYX BOOX Monte Cristo 4 is a device for reading electronic books with the E Ink Carta Plus screen of the latest generation, which has a higher definition and contrast, built-in MOON light+ system with color temperature control and the SNOW Field function. Compared to the previous models, its screen has a higher definition and contrast. Pixel density of the screen is 300 dpi that is a record for this type of E Ink screens and corresponds to the high-quality paper printing. 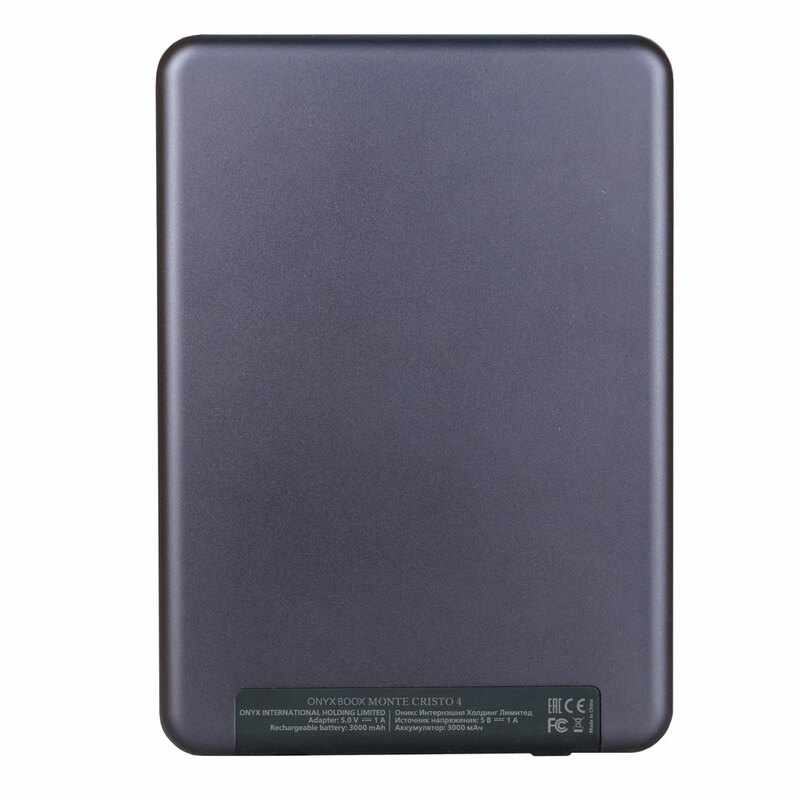 The model is made of high quality materials and has a thin aluminum alloy casing and an ASAHI protective glass. In addition, the reader is equipped with a high-performance 4-core processor, 1 GB of RAM and 8 GB of internal memory. A Wi-Fi module and a built-in browser allows the user to browse the Internet. 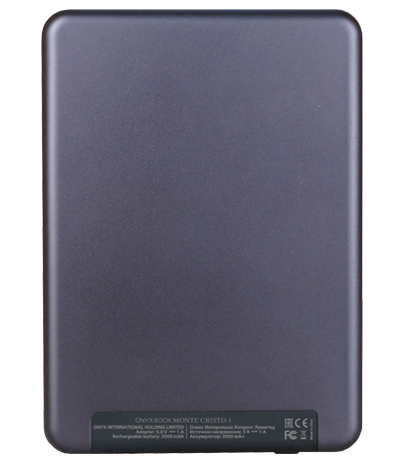 A built-in Bluetooth module allows to connect to this eReader different external devices. The Android operating system thanks to its rich selection of programs allows you to open text files of almost any formats and to configure settings of the text for more comfortable reading. The model has side buttons for scrolling, located on the face panel of the device, and the BACK button, located traditionally on the lower part of the screen. 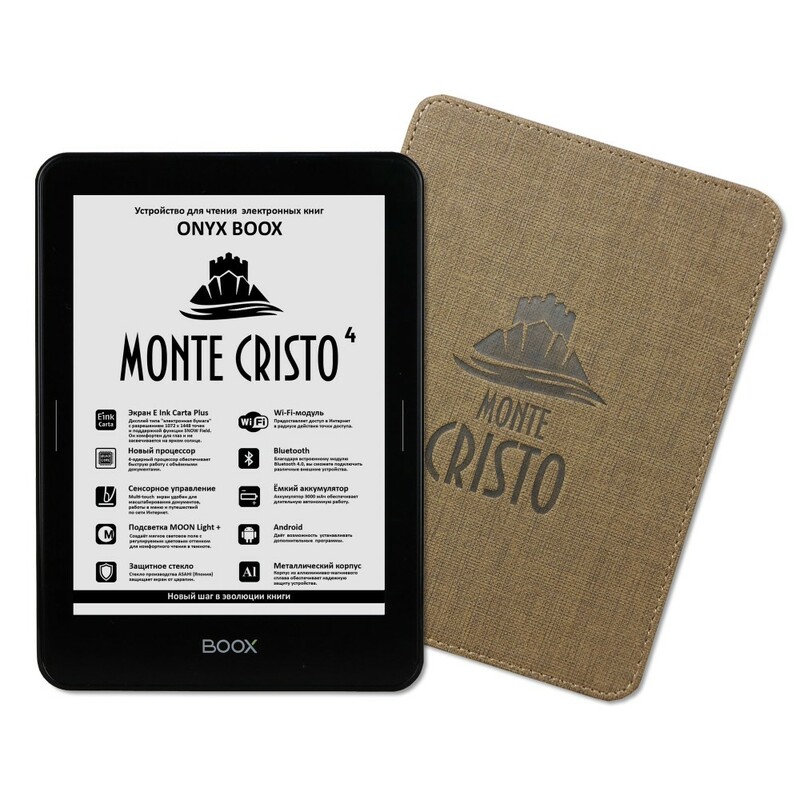 Just leave us your email and we will contact you ASAP to quickly process your Monte Cristo 4 order. 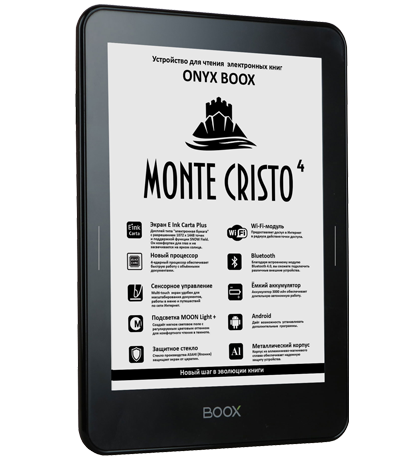 There are pre-installed English-Russian and Russian-English dictionaries in Monte Cristo 4. To translate an unknown word just choose it in the text. Thanks to a built-in Bluetooth module of 4.1 standard you can connect an external keyboard or wireless earphones for listening audio books. Monte Cristo 4 allows the user to write personal software using the potentials of the Android 4.4 platform.